Innovative RF Filler Injection System - DOSIS M&M Co., Ltd.
What i s RF Filler ? 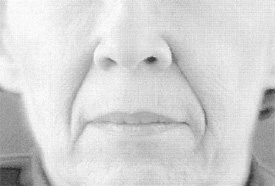 - It is combined technology of Radiofrequency wave and Filler injections in one platform, which is an innovative minimally invasive technique for facial rejuvenation. 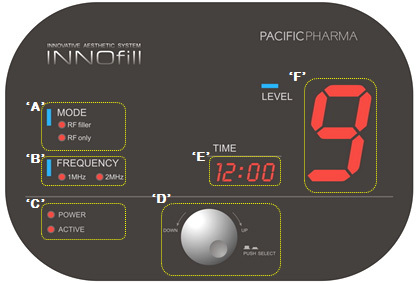 - INNOfill is essentially for facial rejuvenation and for the treatment of scars, stretch marks, and wrinkles combinedly working by RF thermal energy and hyaluronic acid filler. 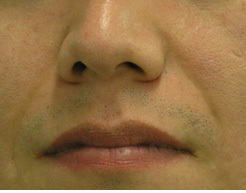 - Monopolar RF treatment has been demonstrated to induce a wound healing response with increased collagen expression and dermal remodeling results in gradual improvement over several months and can be long-lasting, while fillers often result in immediate clinical improvements that are usually temporary. Therefore, a filling/lifting/smoothing effect can be obtained, concerning the effects of aging, and a therapeutic effect occurs on acne scars and striae as well as most of facial rejuvenation. INNOfill consists mainly of following two effective performances. - A conducted RF needle, specially formulated to apply radiofrequency is injected into skin and forms 'autologous containment capsule' in order to hold filler longer than ever since the bio-degradation goes slowly. 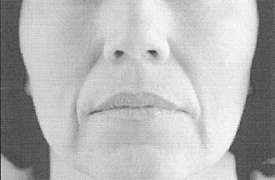 And, Monopolar RF treatment stimulates dermis and helps re-modeling collagen immediately and gradually in long-term. 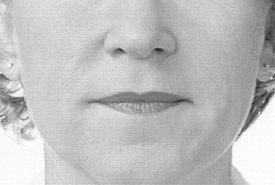 - Soft-tissue filler augmentation is a treatment modality widely used for aesthetic improvement of deep facial lines and wrinkles. 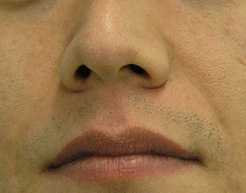 However, it is not well accepted for the patients who want longer filler duration. 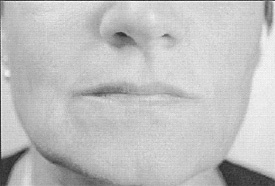 - Soft-tissue augmentation and monopolar RF treatment have the potential to restore tissue volume and improve facial laxity. 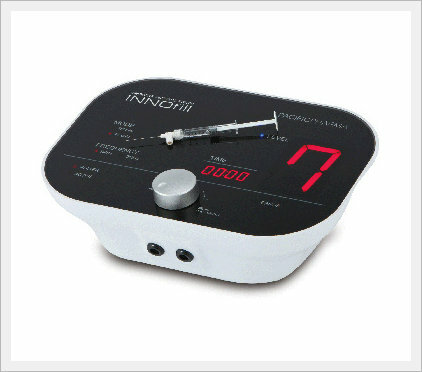 - RF filler is for performing both RF emission and filler injection at same time. 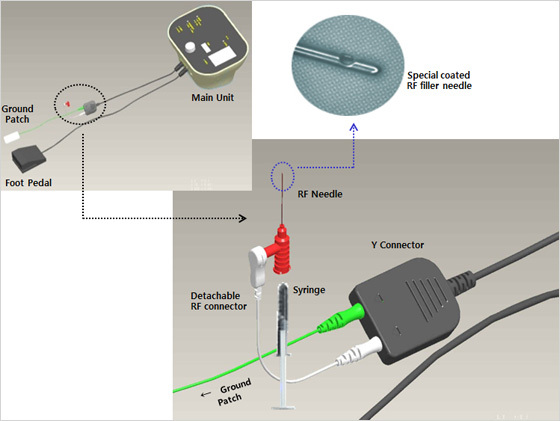 - RF only is for performing RF emission only using dedicated needle. - 2MHz depending on procedures. - It indicates the status of power and activation of procedures. - Control button for adjusting each parameters and values by push. - It shows time that is running currently. - It controls power level from 1 to 9 levels. Injecting RF needle into skin using linear retrograde technique with circular movement. Applying RF energy from the end of needle. To retrogress needle slowly inserting filler with one of following injection technique according to target. By using these two procedures, a filling/lifting/smoothing effect is therefore obtained, concerning the effects of aging, and a therapeutic effect occurs on acne scars and striae. 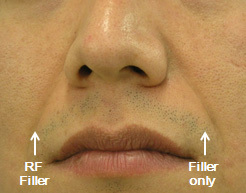 Lifting by RF energy and Volume-up by filler can be done in one platform. 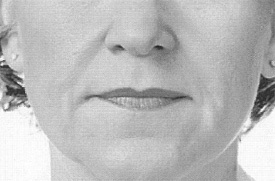 Long lasting efficacy thanks to RF + Filler technique. Non-invasive procedure thus the lesser down-time. A minimal side-effect by using well known accepted filler procedure. Available customized procedure depend on area to be treated. Expected lifting efficacy additionally by using RF + Filler mode. Reduction of usage of filler because of 'Autologous Containment Capsule'nearly 30%. - This clinical test is to verify a continuity and a visible volume up of filler stimulated by RF emission Conclusion: Monitoring result in 3 months, it is apparently observed a continuity of volume-up through RF filler treatments compared to the treatment done by only filler procedure.